In the island’s New Town and on the main onshore road there you can find the most luxurious holiday resorts with five and four star Rhodes hotels that offer modern facilities and many services. Almost all the five and four star hotels on the island have private pools and restaurants. 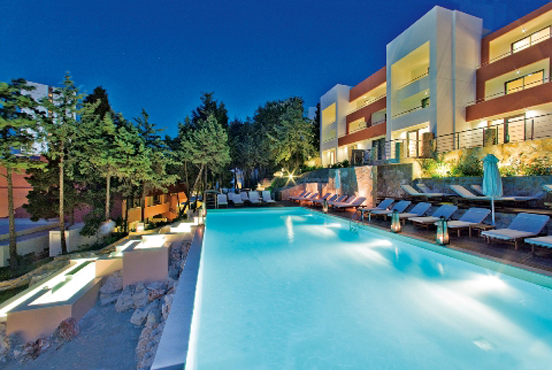 In most of Rhodes’ areas and close to the beaches there are many hotels and rooms to let that are categorized as well. The rooms to let offer modern amenities and kitchenettes with ovens and fridges in case you prefer to cook during your stay. Some of the rental rooms have their own private pool for the visitors. Anywhere you decide to stay in Rhodes (Rodos) and any hotel or rental room you choose the certain is that your stay will by extraordinary. The locals are very hospitable and kind to the visitors. The prices are very reasonable and if you book a room for many days you will have a better offer. For a few years now Rhodes has developed its touristic infrastructure and has exceptional facilities for accommodating its visitors. In the entire island of Rhodes (Rodos) you can find an inestimable number of hotels from all the categories and rooms to let that offer all the amenities for a wonderful accommodation.